Most people have never seen a hookah (or didn’t know that they were seeing one when they did). So, when it finally peaks their interest and they’re thinking of getting one for the first time, where to buy one can be the first big challenge. If you type “Buy Hookah” into Google you’ll get about a bazillion results. Unfortunately, not all vendors are equal and you may have about a 50/50 chance of having a terrible first experience with your hookah vendor. From bad customer service, or cheap, overpriced pipes—knowing where to buy can make all the difference. Here are a few vendors you should not only feel comfortable buying from, but can know if there are any problems, they’re going to make it right! 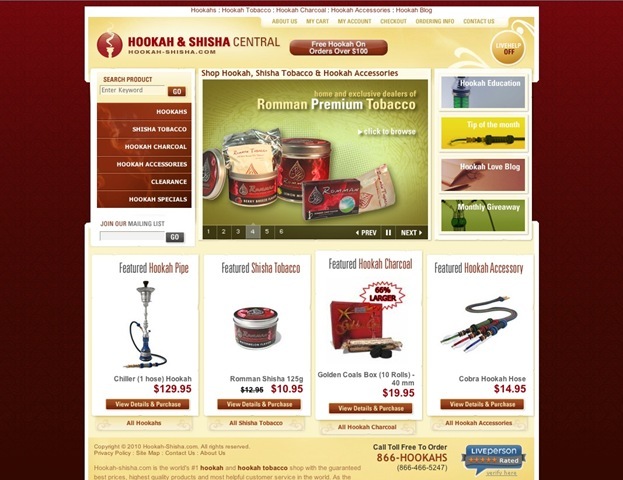 Hookah-Shisha (or H-S as you might find it abbreviated) offers an excellent selection of products at great prices. They even offer a price-match guarantee in case you find what you want cheaper somewhere else. The customer service is exceptional with a toll-free number and live chat in case you have questions or concerns. You can even call them to to help you get your pipe set up for the first time, or if you’re having trouble getting it to smoke right. The Downside: Hookah-Shisha sells lots of excellent products. But also lots of not-so-great products. If you don’t know what you’re looking at, you might get something that doesn’t perform as well as you would like. Make sure you do your research before you buy! 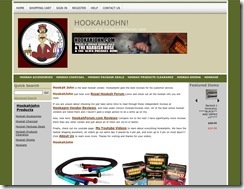 HookahJohn, as the name implies, is run by John Naddour in California. As far as the shopping experience is concerned, it’s very different from what you might experience at a place like Hookah-Shisha. Though don’t misconstrue that to mean it is in any way sub-par. HookahJohn delivers one of the best, most unique online shopping experiences you can find in the hookah world. The site is not as well polished, and the selection (at first glance) may not appear as impressive. But there’s one very important difference. HookahJohn doesn’t sell anything he doesn’t believe in. Being a veteran smoker himself, this is saying a lot. The customer service experience, while sometimes a little slower, is incredibly personal and friendly. If you email the website, John will email you back personally. If you have a problem with your order, John will call you personally. Imagine the classic mom and pop convenience store, only online, and selling hookahs instead of snickers. HookahJohn is the manufacturer of the popular Chronic Hookah coals, as well as the manufacturer and sole distributor of the washable Narbish hose and HJ Mini Alien bowl. The Downside: HookahJohn is a small operation. Some people may not be as comfortable with this. The website can also be less-than intuitive for a first-time visitor. There is also no way to find your tracking number directly on the website, though it will be provided via an email from FedEx. 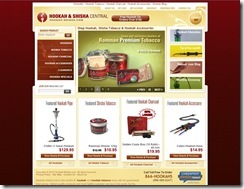 HookahCompany, like Hookah-Shisha, offers an excellent selection and great prices. They carry a very wide selection of hookahs from many regions as well as a plethora of accessories and tobacco and even music to listen to while smoking! The customer service is also very good. While they have no live chat, like Hookah-Shisha, they do have toll free numbers and representatives ready to answer questions and help however they can. Email response is also strikingly fast. The Downside: While the selection is excellent, the organization is not. 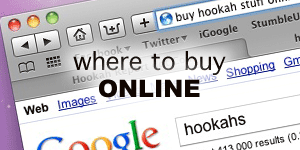 While browsing hookahs, there is no obvious way to sort your results except by height, price and region. There is apparently no way to sort based on brand, color or number of hose ports. If you know what you’re looking for, this can make shopping cumbersome. Also, like Hookah-Shisha, it’s important to remember that while HookahCompany sells many excellent products, they also sell some that you probably would rather not spend your money on. Always do your research. HookahStore is an excellent vendor for anyone who knows what they’re looking for and what they’re doing. There is an obvious no nonsense approach to the shopping experience. The design is minimal, and there are very few things to click. But the things that are there are plentiful and very clearly laid out so that nothing distracts you from choosing the right product for you. HookahStore carries a great selection of hookahs from many popular manufacturers and most of the popular coal and tobacco selections as well. The Downside: Unfortunately, HookahStore’s selection of accessories is limited compared to the other vendors listed here. Popular items like the Tangier’s Phunnel bowl or Sahara Smoke’s Vortex bowl are unavailable from HookahStore. Also missing are washable hoses (such as the Narbish, Nammor or Razan) which have become a must-have for many regular smokers. 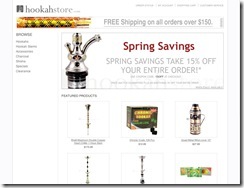 HookahCompany also has no phone support, though they maintain very quick email support. Don’t want to buy online? If you live near a metropolitan area (like the District of Columbia, New York, or Los Angeles) you’re almost certainly within driving distance of a retailer that sells hookahs and hookah supplies. These products are often sold in ‘head shops’ and novelty stores. You should steer clear of these. What you find in these types of stores is typically more expensive and a lower quality. It is best to look in authentic Middle Eastern retail shops. Here’s a few things to keep in mind. Middle Eastern retailers naturally crop up in areas that have a heavy Middle Eastern population, which is typically in or near a big city. Unfortunately, these types of stores rarely have much of an online presence. In fact, you’d be lucky to even find them in the Yellow Pages. So gas-up and get ready for an adventure. The easiest way to find them is to look for a hookah bar in your area. The people running the bar, if they’re friendly (and hopefully they are—it’s just good business), will probably be able to direct you to a retailer selling hookah supplies. They may even be able to sell you supplies themselves, but there will definitely be a premium on them. If there is no hookah bar near by, try looking for Mediterranean grocery stores. These stores sometimes sell hookah supplies in limited quantities. But, more than likely the shop owner will be able to direct you to another, more specific store. Once you actually find a store selling hookah supplies, you’ll want to know what kind of store it is. Some Middle Eastern retailers have set up so their market is Americans and tourists. These stores may try to sell you cheaper pipes and supplies at a higher price. If all of their hookahs come with a carrying case, you’re probably in one of these types of stores. This isn’t a problem, it’s just more important to go in educated. You’re at risk of being swindled. On the other hand, there are many Middle Eastern retailers whose main clientele are also Middle Eastern people. 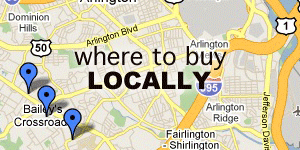 In these stores you will typically find higher quality pipes and supplies at a lower price. Though be warned, if you’re a white guy like me, you’re going to get some funny looks the first few times you show up. Like any niche hobby, getting your hands on the right products for you can be somewhat of a challenge—though much easier online. Whether you’re buying online or locally, it’s important to know your retailer and do your research. A good pipe, with good tobacco and good accessories will deliver a truly excellent smoking experience. But uneducated shopping can quickly sap the joy out it.